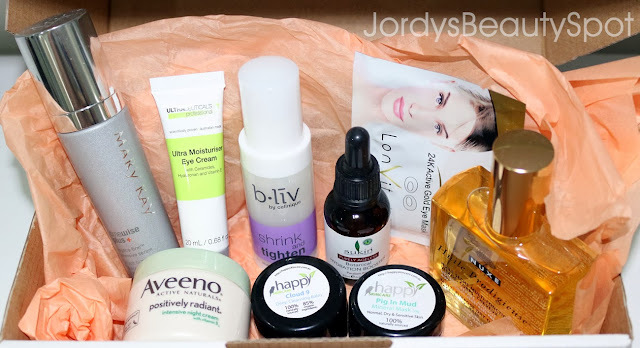 In my most recent video the holiday gift guide, I mention a personalised skincare pack as a gift idea. Since it was such a detailed box of goodies with specific products inside, I thought it would be more beneficial to show an overview of what was included inside. Now this is not only a great gift because every girl uses skincare (or at least I hope they do) but also because it enables you to personalise each product you put in the homemade gift pack. This shows that a lot of thought and preparation went into getting them a gift this holiday season. Now let's get into all the products included in the skincare pack I put together for my mum this Christmas. Also click the title of each product to be sent to a page with more info or a review that I have done so you can learn more about the products. I definitely wanted to include a serum because I think it's such a fantastic and substantial product that appeals to absolutely anyone. A good serum is essential in a skincare routine to go underneath a night moisturiser and even for morning application underneath makeup. This particular Mary Kay one that I included is absolutely amazing and since I have used it personally I can guarantee that the results are visible. This next product is another essential that I just had to include which is a good quality eye cream aimed towards reducing puffiness, dehydration and fine lines. This product contains active ingredients so is of extremely high quality and a luxurious item to include. This pore-reducing solution helps minimize large pores and pits, while repairing the weakened skin protection barrier. It helps to reverse facial pores by pumping in collagen to seal the pores; preventing future problem by flushing out clogging and calming down irritation. I think this product is great to because it is an interesting thing that they would want to try out and it's something that they can test out to see if it actually works for them. This product is rich in argan oil and immortelle to improve skin elasticity and deliver bright, radiant skin. Now this is a product I definitely think including would brighten up the box, literally (as this is a skin brightening product which works on creating radiant skin), and it a nice luxurious oil anyone can enjoy. Speaking of luxurious products, check out these 24k gold eye masks that I included! These actually include gold in them and are definitely a pampering product for whoever your box is going to! They will feel like a million dollars if you include this product so I think it's a lovely little item to add. Another item that will make the receiver of this present feel like a million dollars is this deluxe gold oil which is a multi-purpose dry oil that can be used on the face, hair and body. I have done a whole review on this product so click on the title to find out more. Everyone needs a good intensive night cream and Aveeno is a great option since this particular product is all natural, making for a pleasantly calming and mild experience that will make your face feel velvety smooth. The lack of chemicals that usually go into night creams that aren't natural results in less risk of irritation so this is a safe bet if you're looking for a mild product. Pamper the person you're buying for with this gorgeous mineral mask that they can lounge around in while their skin is detoxed, toned, revitalised and more! This mask even removes blackheads, reduces pores, smooths rough skin, reduces signs of ageing and helps recover from breakouts. Now this is an awesome product because it's so interesting! It's an organic cleansing balm which dissolves oil impurities in your skin removing stubborn makeup, sunscreen, black heads and daily grime. What an amazingly interesting product, it will definitely catch the interest of whoever receives it this holiday season! Now these are just the products I chose to include because this gift is for my mum and I selected products I thought she would like but customize it to the person you're buying for. If you have a friend who struggles with acne then you can include a selection of blemish purifying products, as long as you're sure this isn't going to offend your friend and that you two have an open relationship about skin issues and such. If you have a mother with extremely dry skin you can put together a pack of serums and intensive moisturisers. This gift idea is also great because it doesn't matter what kind of budget you have; simply swap out the amount of products or brands included. So the total worth of this box is $343.34 but it is completely up to you and your budget. I hope you found this helpful, let me know if you use this idea and if so then what products did you include?